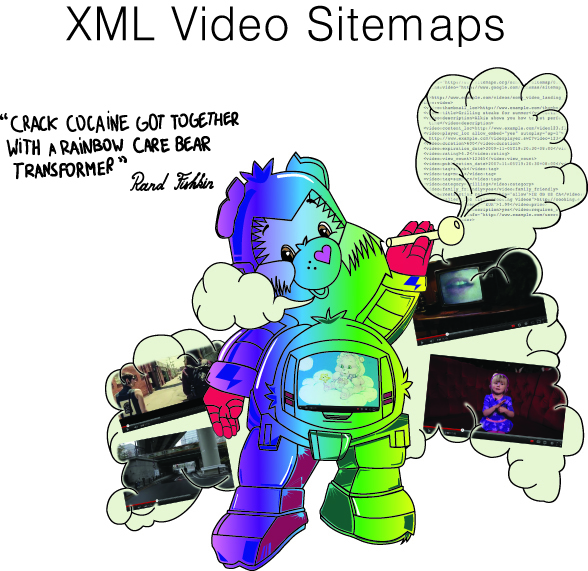 While watching the recent free video release from Distilled I got to see Rand Fishkin of SEOmoz’s true feelings about XML Video Sitemaps. I decided that it required a true visual representation. I wanted to publicly thank Bill Slawski from SEO by the Sea I recently hooked up with Bill in a Google Hang out which was hosted by and old mate of mine Dejan from DejanSEO. After listening to him talk about various SEO related topics, I knew I wanted to hear more. I fired off an email offering to take him out to lunch and he responded promptly (maybe he was just hungry? ), we sorted out a day and time for me to come down to meet with him. It was a pleasure to chat with an industry veteran and share some war stories. I am looking forward to learning from and working with Bill in the future. If you have the opportunity to listen to Bill speak, listen very carefully and take notes :-). If it’s your first time hearing about rich snippets you may want to read up at microformats.org first. In general though, rich snippets allow webmasters to influence the display of their website’s listings in search engines. Rich snippets have been around since 2009, but up until recently only a few websites could actually benefit from them. Previously, Google required webmasters to submit rich snippet request forms through its webmaster tools before anything would display differently in search results. 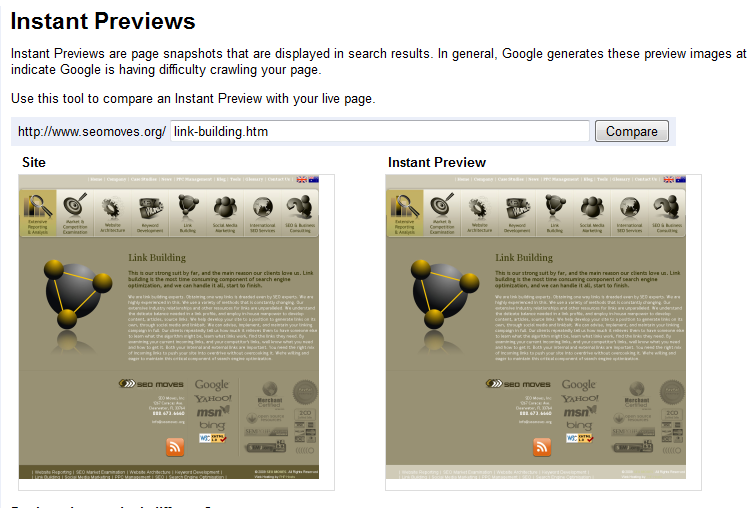 Recently though Google has removed the manual approval process for hReview and other rich snippet code. This opens up many new exciting opportunities for both webmasters and SEO professionals. hReview is arguably the most important rich snippet because it can pull reviews from your website and display them as stars under your search listings. Richard Baxter from SEO Gadget noticed a 5% CTR increase to his website after implementing hReview and obtaining stars in search results. 5% is an attractive number considering it takes all of five minutes to install the code. To get the code for your website you can try the hReview Creator tool at microformats.org or simply use a template (I didn’t have much luck with the hReview Creator tool personally). Here is an example code template I drew up for my company, Evolve Creative Group. This code can be placed anywhere within the body section of your source code. Make sure to use Google’s rich snippet testing tool to ensure that everything is set-up correctly. The main topic of the page needs to be about a specific product or service. For example, using review markup on a page containing multiple products is not supported. Google’s first guideline is the most confusing for many because it’s open to so much interpretation. My company could argue that our homepage is about a specific service (web design), but would Google see it the same way? 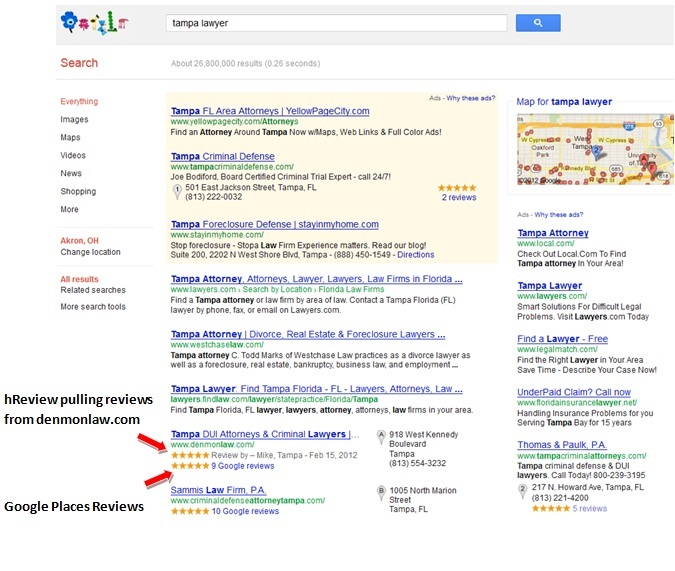 Denmonlaw.com from the example above has simply moved a review from their testimonial page onto their homepage and incorporated hReview. Assuming the review is legitimate I don’t see any issues with this practice. Only time will tell the future of this new open-ended system, but for now, we should all be taking advantage of this incredible opportunity while it’s still available. What do you think about moving a few testimonials to the homepage to benefit from hReview? While several companies established a Fairsearch.org group in order to try and prevent the Google-ITA deal, claiming that it is a yet another step of monopoly (by Google that is) of the airline ticket market, Bing has decided not to complain, but to fight. In addition to purchasing a predictive engine for flight costs, the Farecast, about a year ago, they now team up with one of the popular travel search engines, the KAYAK. It seems that the deal is beneficial for both sides – after all, KAYAK is probably also worried about Google acquiring ITA, despite their talks about “welcoming Google as a competitor”. It their announcement, Bing flatters KAYAK, calling its new partner “a leading innovator in travel search”, and talks about “more comprehensive travel search experience”. The deal should benefit those people who want to plan and book via Bing. Although this looks like trying to stop people from leaving Bing, the move is actually a counter-step to Google entering the travel search. Of course, although “Google is not wining every niche it enters” as said KAYAK CTO and co-founder Paul English, it can affect the market heavily. So, there is nothing left but to wish good luck to both Bing and KAYAK in their struggle.